06.03.18 13:44 Transfer Sent Payment: 50.00 USD to account U16617237 from U1294xxx. Batch: ‎207548705. Memo: Shopping Cart Payment. 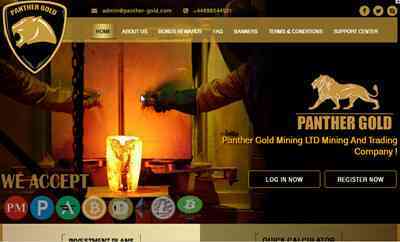 Deposit to panther-gold.com User allhyips. 07.03.18 12:35;Account;Receive;Received Payment 19.7 USD from account U16617237 to account U1294000. Batch: 207657527. Memo: API Payment. Withdraw to allhyips from panther-gold.com. 8.03.18 15:30;Account;Receive;Received Payment 3.7 USD from account U16617237 to account U1294000. Batch: 207775688. Memo: API Payment. Withdraw to allhyips from panther-gold.com. 08.03.18 14:17;Account;Receive;Received Payment 37.00 USD from account U16617237 to account U1294000. Batch: 207768012. Memo: API Payment. Withdraw to allhyips from panther-gold.com. 08.03.18 04:10;Account;Receive;Received Payment 3.7 USD from account U16617237 to account U1294000. Batch: 207721216. Memo: API Payment. Withdraw to allhyips from panther-gold.com. 08.03.18 01:31;Account;Receive;Received Payment 1.85 USD from account U16617237 to account U1294000. Batch: 207714449. Memo: API Payment. Withdraw to allhyips from panther-gold.com. 7.03.18 15:43;Account;Receive;Received Payment 11.1 USD from account U16617237 to account U1294000. Batch: 207676363. Memo: API Payment. Withdraw to allhyips from panther-gold.com. 09.03.18 16:04;Account;Receive;Received Payment 38.85 USD from account U16617237 to account U1294000. Batch: 207871575. Memo: API Payment. Withdraw to allhyips from panther-gold.com. 10.03.18 17:26;Account;Receive;Received Payment 1.85 USD from account U16617237 to account U1294000. Batch: 207959438. Memo: API Payment. Withdraw to allhyips from panther-gold.com. 10.03.18 17:11;Account;Receive;Received Payment 45.4 USD from account U16617237 to account U1294000. Batch: 207958351. Memo: API Payment. Withdraw to allhyips from panther-gold.com. 11.03.18 12:19;Account;Receive;Received Payment 10.25 USD from account U16617237 to account U1294000. Batch: 208017889. Memo: API Payment. Withdraw to allhyips from panther-gold.com. Page generated in 0.1901 seconds with 14 queries.